Solaris Dutamas KL is a trendy commercial and residential neighbourhood in Kuala Lumpur, housing some of the city’s most popular cafes, restaurants, and nightlife venues. 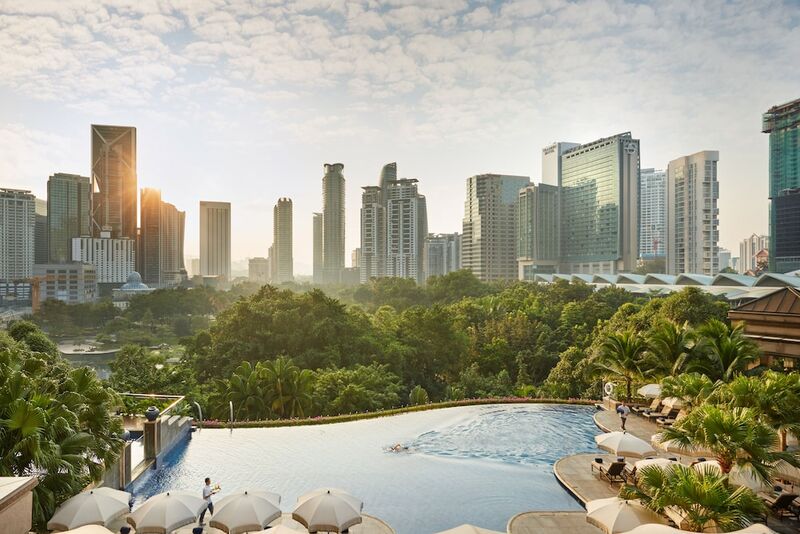 Accessible within a 20-minute drive from Kuala Lumpur City Centre, it’s divided into two main affluent townships, namely Solaris Mont Kiara and Solaris Kuala Lumpur, but it’s also connected to Hartamas, which is another expat-friendly neighbourhood. Thanks to its multicultural residents, the area is teeming with cafes and restaurants serving authentic Japanese, Korean, Middle Eastern, Thai, Italian, and local cuisine. There are also plenty of things to do here, from shopping for local souvenirs at weekend markets to enjoying art exhibitions and international film festivals (for free!). Check out our guide of everything you need to know about Solaris Dutamas KL. There are two historical landmarks in the area; namely, the Istana Negara and Federal Territory Mosque. The former is the official residence of the Yang di-Pertuan Agong (King) of Malaysia, while the latter is a breathtaking house of worship that’s constructed using traditional Ottoman and Malay architectural styles. Weekend markets, fashion shows, film screenings, and art exhibitions are regularly held at Publika Mall Kuala Lumpur, an upscale neighbourhood shopping mall that’s frequented by expats and trendy locals. Solaris Dutamas KL has a diverse dining scene as it’s also a residential area for the city’s expat community. From bustling Korean BBQ joints and Japanese izakiya to Italian restaurants and Middle Eastern shisha lounges, visitors are spoiled for choice when it comes to what to eat in the neighbourhood. There are also plenty of casual restaurants, food courts, and roadside stalls selling Malaysian cuisine at relatively affordable prices. Some of the city’s most prominent third-wave coffee shops can be found here, particularly in Publika Mall Kuala Lumpur. Most of these cafes also serve all-day, Australian-inspired brunch such as eggs Benedict, fluffy pancakes, and big breakfast platters, while coffee beans are usually premium brands that are sourced from as far afield as Australia, Ethiopia, Kenya, and Guatemala. If you’re not a fan of coffee, make your way to Solaris Kuala Lumpur, where you can find an array of cafes serving Korean and Japanese dessert. Nightlife is limited to a few bars and pubs located in Publika Mall Kuala Lumpur, though you can also make your way to Hartamas township to enjoy attractive happy hour promos, delicious pub grub, and live music until late. During special occasions, such as Christmas, Hari Raya or New Year’s Eve, the shopping mall hosts a wide range of night-time activities, including film screenings, art exhibitions, and performances by local musicians.